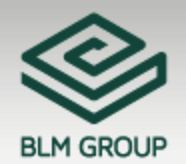 BLM GROUP sets itself up as a global partner for the whole tube processing, from laser cutting to cold saw, bending, end-forming, measurement, with a worldwide presence. These wide range of solutions is manufactured in dedicated production sites, with highest expertise and skill levels, established in more than 50 years work and experience in the tube processing technology, with thousands applications all over the world. Specialised in the production of CNC-bending machines, end-forming machines, measurement systems and related automation and handling systems. Produces tube laser cutting machines and cold saws for the machining of tubes, solids and profiles. The production range further includes de-burring machines, measurement systems, washing machines and collectors. Specialised in the production of combined laser cutting machines for tubes and sheet metal and of laser cutting machines for big tubes. A know-how to share, deriving from 50 years experience in the tube processing. Continuous innovation of the production technology aimed to increase the competitiveness of the end users. The answer to specific requirements with customised solutions. Keeping in touch with customers before and after the sale of machines, to be their reliable reference. Global presence with local service centres able to reach all customers speaking their own language.